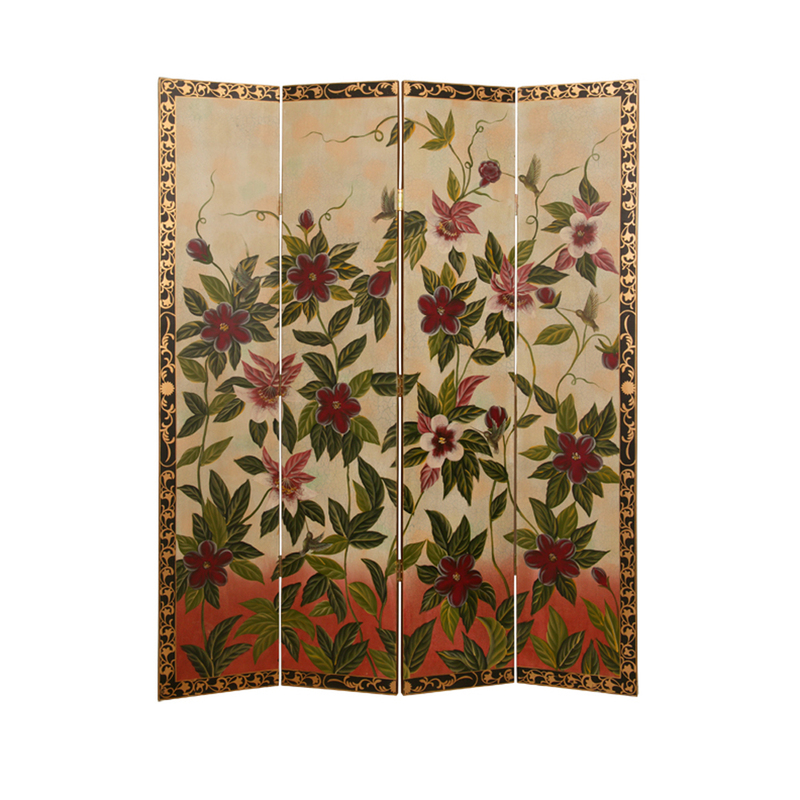 The hand painted Sweet Nectar Screen has detailed hand painted artwork of lush floral designs with Hummingbirds. The border of the screen is hand painted and is finished on the front only. The back has a solid wood brown panel.